Imagine for a second: You wake up in the middle of the night and hear a crash outside. Your bedside lamp no longer works, and you must go in the dark to take the flashlight. Once outside, you realize that the blackout affected the whole neighborhood; You checked the phone: no dial tone. You realize that all electronic devices, barely more elaborate than a flashlight are all roasted, without any hope of being repaired, and that the world you know has just disappeared. At such a time, you will be happy to have anticipated the possibility of an EMI attack, and this will be an opportunity for you to test your preparations. Your neighborhood, your country, or perhaps the world have just been touched by an Electromagnetic Pulse, and you will now have to survive without all the facilities you were used to in your everyday life. 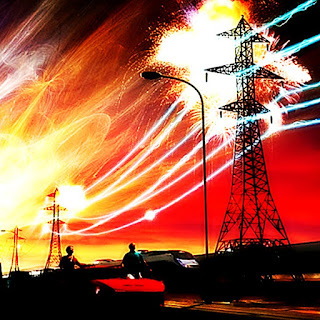 An electromagnetic pulse is an intense and sudden emission of electromagnetic waves , the origin of which can be both human and natural. In fact, MEIs occur every day at the surface of the sun. Most of them go unnoticed, but there is no doubt that bigger ones could affect the most sensitive electronic equipment. A massive IEM attack is capable of destroying transformers that regulate our current, and create a chain reaction capable of eradicating the entire humanity. Before taking the necessary precautionary measures, it is necessary to study the probability of an EMI, and how it can be created. This event is one of the most probable natural disasters that can affect our planet, and it is a real concern for many governments, including those in developed countries. A coronal mass ejection is a violent eruption of plasma on the surface of the sun, which scientists call a “solar storm” or a “magnetic storm”. 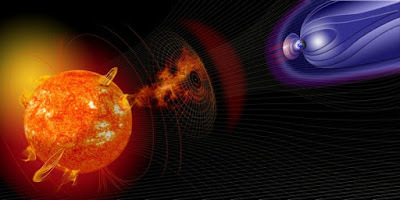 Scientists do not fail to recall that if a major solar storm strikes the Earth, its electromagnetic pulse would be able to bypass all our transformers and destroy the entire electrical grid. Despite this, it seems that the media do not take the threat seriously, and the government, No precautionary measures for the general public. In addition, when you know how big transformers are manufactured, and their quality Made in China, it’s a bit like adding another nail to our coffin … The worst thing is that this type of event is already produced in the past, and although it did not have a big impact at the time, it would be quite different in our modern technology-dependent societies. It is a threat that most people are not even aware of. Moreover, they have never heard of an EMI attack or preparedness plan, and have no idea what to do in the event of such a disaster. Event has happened in the past, and although it did not have a big impact at the time, it would be quite different in our modern technology-dependent societies. It is a threat that most people are not even aware of. Moreover, they have never heard of an EMI attack or preparedness plan, and have no idea what to do in the event of such a disaster. A Nuclear EMI is an Pulse created by an explosion of the same name. 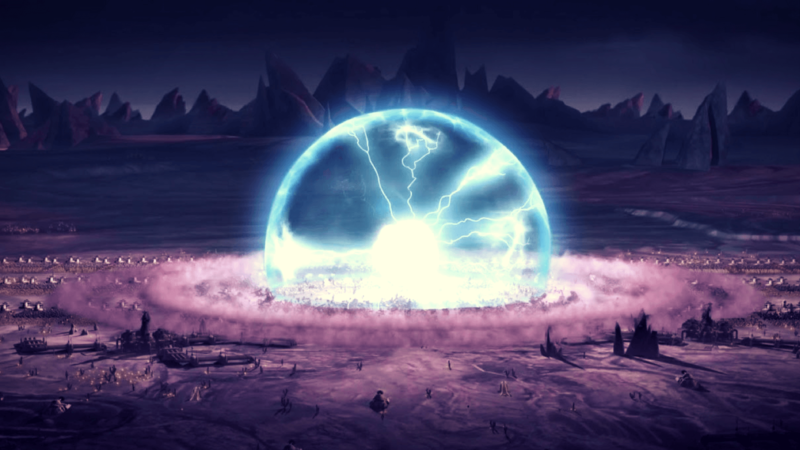 If a nuclear head bursts in the atmosphere near the surface, the electromagnetic discharge would be absorbed by the earth and its effect would be negligible. However, if the explosion took place tens or hundreds of thousands of kilometers from the earth, the situation would be totally different and the effects would be even more devastating. An explosion at a high height in the atmosphere would propagate at an incredible speed, with virtually nothing to hold it back or stop it. This is what military analysts and scientists allude to when talking about IEM attacks. It is only in recent years that the ” The army has developed a survival strategy against these attacks, and officials recognize the existence of such a threat. The effects of nuclear EMI are so precise that they damage the smallest circuits, making them much more dangerous and destructive than those associated with coronal mass ejection. The Soviets were the first to develop systems capable of producing non-nuclear IEMs. These are magneto-cumulative generators of high pulsed powers operating by compression of a magnetic flux with the aid of explosives. Of course, even if one knows the operating principle of these systems, it is very difficult to; Obtain information on their availability within the armed forces, as well as their actual effectiveness. According to some sources, the EMI is the kind of strike that Israel would consider against Iran in order to paralyze all its transport and communication networks and thus put an end to its nuclear program. Such a strike could send Iran back to the “Stone Age” according to US defense experts. An EMI attack is one of the plausible scenarios, thereby increasing our vulnerability given the importance of electronic equipment in our defense systems, whether nationally or individually. For some generals, it is even a certainty, the point is not whether such an attack can occur, but when it will occur. If the great powers such as the USA, Russia or China are capable of doing so, reality does not automatically make them the main suspects. North Korea successfully tested the electromagnetic weapon in 2009, and some organizations such as ISIS have already foreseen its use. The components needed to create an effective EMI weapon are available, And technological knowledge for its implementation and being acquired by terrorist groups. ISIS extremists regularly kidnap engineers who can help them do this. They flood the media with their horrific videos, history to keep them busy, while they work in handy to their true plan. These extremists, however stupid they may be, have realized that they can not defeat unless we tackle the very foundations of our needs (energy, supplies and security), and an EMI explosion on our soil, now apart of their strategy. ISIS regularly kidnaps engineers who can help them do this. They flood the media with their horrific videos, history to keep them busy, while they work in handy to their true plan. As for the sun, organizations such as NASA are closely following its activity and experts do not deprive themselves to issue regular warnings and forecasts concerning the extreme climatic conditions on the surface of the star. They claim that we would only have two or three days’ notice before realizing that the latter would be on the verge of emitting a destructive radiation. These experts constantly warn governments that people should learn to protect themselves from an EMI attack, simply because an event of this kind could occur at any time. The problem is that nobody really listens to them. 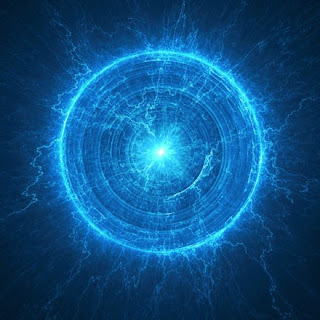 It is difficult to conceive, but it seems that the human factor is regarded as a more tangible reality and a more likely peril than the cosmic factor when it comes to electromagnetic pulse. Both threats should be considered and taken into account. What would happen in the event of an IEM attack? 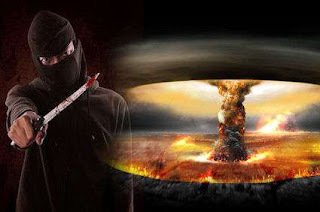 Various scenarios have been developed by scientists, and there is also a consistent literature on what would happen in the case of an IEM attack. As for a solar storm, the truth is that no one is able to predict the scope of the damage caused, nor their true effects. However, according to the experts, the result would be no less than apocalyptic. As far as nuclear EMI is concerned, the military has a good knowledge of it, more than the average citizen would think. Since the 1960s, Russians and Americans have clashed to conduct multiple tests at high altitudes. The US strategic command is constantly working on targeting maps of the Russian and Chinese territories. The other countries do the same on their side, and it is a race to which we are merely spectators. The only point to be remembered is that an EMI explosion at an optimal tactical location and a sufficient height would be able to erase any trace of “modernity” from any civilization. For the record, pacemakers and other survival systems, etc. If you are lucky enough to pass an attack or an EMI explosion, then your probability of survival would be quite high, depending on your environment. Such an event does not affect the human body in any way, and depending on where you live, it may even be that you did not know it happened until you pressed a switch! But before being over-optimistic, it must first be recognized that there is a critical lack of information regarding MEI and its effects. Most of what we know comes from American and Russian nuclear tests carried out in the 1960s. Everything that has been done after this period is still under defense secrecy, And we can only rely on the declassified results of the first tests. This information, even incomplete or outdated, nonetheless allows us to get an idea on the issue and to anticipate some scenarios. The second thing is that an IEM attack on our soil, although it may seem relatively limited in its immediate effects, would have disastrous consequences in the short and medium term. Experts predict that 70 to 80% of the population will perish within the next 12 to 18 months! The reason is, of course, our extreme dependence on electricity, and the relocation of vital resources such as water, food, and processing capacities (wastewater treatment, etc.). Nevertheless allow to get an idea on the question and to anticipate some scenarios. Imagine the consequences of a total electric blackout in our modern societies, and you will have a glimpse of the rejoicing. The survival plan for such an attack would be to be able to hold in an environment characterized by scarcity in everything and the resulting violence, which is the very definition of chaos. And not to be in a plane just at that moment … To prepare for it, there would be nothing else to do, apart from a Faraday cage for the equipment, which we will have The opportunity to speak in more detail in a second part. In other words, there is no really specific preparation, but a global survivalistic preparation, as we have repeatedly detailed in the pages of this blog. IMMERSION RENEGADE, BITCOIN DENIZEN, GEN Y SAGE. ;-).